I am open to teaching students from every walk of life and background. Courses are $95 *Lesson alone* and $45 for assignments= $140 per course and 30 minutes In length. You must take a maximum of 2 hours of a course to receive certification at a master level with me, although one hour gets your intermediary certification, allowing you to practice right away!. For example, Tarot, Shamanism, and even Medium Development may only take an hour for you to receive such certification. You will receive acertification for completing an hour of development of one specific course. YOU CANNOT combine courses and expect it to receive certification in a specific category, however, courses may be combined if it is as an hour of tarot, an hour of mediumship, etc, in order to receive your certification. I have grown a massive collection of channels which has reached an audience of 50 k readers and have been read nearly 700,000 times and counting! You are assured successful results, but you are not guaranteed any specific outcomes, and as always, no refunds, or exchanges once we begin. NO exceptions. Get knowledge before you order. Thank you! PS: courses can be granted credit if they are taken apart, for example, 30 minutes of tarot development now, and 30 minutes of tarot development later, etc, etc| But again, not mixed with another course, unless mixed courses are intended to follow up with mirrored courses. To take one full hour, simply add 2 half hour sessions to the cart! Thanks again! For 26 days of full one hour sessions, per day, it will cost you $7,280.00 Certifications for mastership will be provided, assignments, support for the completion of the assignments. Each class is different, unique and customized. I do not train based on information that perhaps, may be set in stone. You will only learn what you want to learn, nothing less or more. Here are a few brief descriptions of the courses offered. Mediumship focuses on mastering your communication with spirit. It opens up the doors for you to vividly hear and send messages to the spirit realm. Psychic Development focuses on developing skills to be able to perform fortune telling, psychic healing sessions, and being able to tap into the future, past and present through gift alone. Inner witch development is for the purpose of helping fellow witches and wizards connect with their inner energy to be able to use it for the betterment of their own lives and that of others. Fortune Telling Development, allows you to interpret dreams, interpret signs and receive visions. Empathic Development allows you to develop your skills of emotions to use it for your good and being able to determine the environment around you in any situation. And to be able to detect how clients and loved ones are truly feeling. 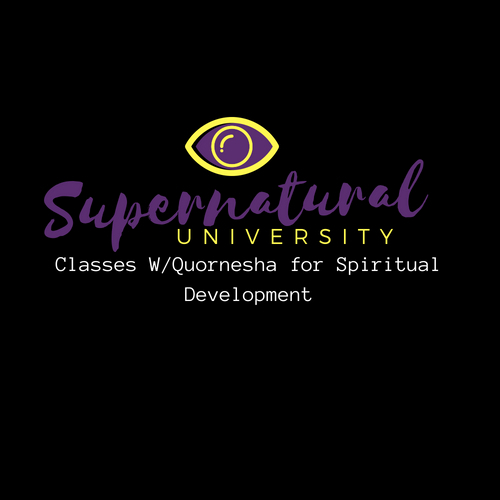 Spiritual Warfare Courses are for those who are suffering mild to severe adversity and are tired of being in the role of victim and are ready to take their power back. The more you take a course, the more you'll learn and develop your skills.